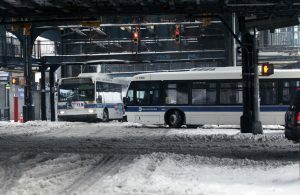 NEW YORK – Buses are just one of the several forms of public transportation New Yorkers rely upon each and every day. In Brooklyn, buses are an integral part of the MTA transportation network, which services millions of people across 12 New York counties. While the bus provides an important service, it’s not without its faults. According to the Federal Motor Carrier Safety Administration, 4,440 large trucks and buses were involved in fatal traffic accidents in 2016 in the United States, a 2% increase from 2015. While typically people riding the bus fare well, buses that collide with cars, trucks, motorcyclists and even pedestrians can cause substantial harm. If you have been hurt in a bus accident in Brooklyn, you will likely benefit from working with a lawyer. Why Hire a Brooklyn Bus Accident Lawyer? A bus accident in Brooklyn can lead to severe injuries that may leave you incapacitated for months or even years. Bus accidents take place for several reasons; but it’s important to hold those responsible for the accident accountable for your injuries. However, it may be difficult to prove liability. This is where an attorney can step in to conduct a thorough accident investigation. It may be possible to hold one or multiple parties liable for your accident. In the event that you require extensive medical care, you may be able to recover the sum you need to pay your bills. You may also be able to recover funds to cover the wages you would have received had you been able to return to work. Your chances of being awarded the compensation you need greatly increase with an attorney on your case. It’s important to work with a personable lawyer who is willing to go above and beyond to serve you. At Cellino & Barnes, our experienced Brooklyn bus accident lawyers have years of experience helping injured parties resolve bus accident cases. Our lawyers pay close attention to the facts of the case and conduct extensive investigations to ensure that we have all the necessary information to file a strong personal injury claim. You should select an attorney with extensive experience negotiating with insurance companies. There is no law against negotiating with insurance providers yourself; however, your chances of receiving the full value of your accident claim significantly drop without a lawyer representing you. 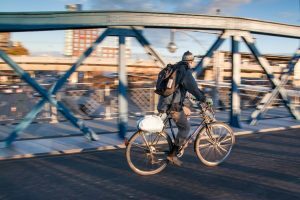 Insurance companies only look out for their own interests, which means they generally attempt to settle accident claims for as little as possible, as quickly as possible. Don’t fall for their first offer! A dedicated bus accident lawyer in Brooklyn will do what it takes to get them to issue the funds you deserve. Your attorney should also feel comfortable taking your case to court in the event that a fair settlement cannot be reached. For more information about how an attorney can help you recover after an accident, reach out to our law firm for a free consultation. We’re available at any time to address your concerns. ROCHESTER, N.Y. – No one looks forward to the communicating with insurance companies and doctors after a car accident in Rochester. Unfortunately, anyone who endures severe injuries due to another driver’s negligence must make some effort to recover the funds he or she needs to cover the expenses such injuries incur. Many people who consider filing a claim after a car accident wonder just how long their claim might take? The reality is that it can take anywhere between several months or weeks to see the necessary funds; and in particularly complicated cases, it may even take years. If you’ve been hurt in a car accident, the sooner you talk to an experienced Rochester car accident lawyer the quicker you can receive the funds owed to you. Whether your injuries are obvious or commonplace. Your doctor may take a while to realize the extent of your injuries and accurately estimate the recovery period and treatments you will need to heal. Your attorney needs this critical information to outline damages. Your Rochester personal injury lawyer may not proceed until he receives this information. Whether your insurance company questions your injuries. Your insurance company may have several questions about your injuries that can stall your claim for weeks or months. 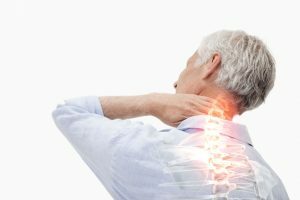 If any of your injuries involve whiplash, soft tissue injuries, or chronic pain, it may take your insurance company a longer time to process the claim. Likely, your insurer will want to conduct their own investigation of your case because many fraudulent claims are based on these conditions, which are more difficult to prove than other ailments. Whether you need to take your case to court. The majority of accident cases in Rochester never step into a courtroom; however, if your insurance company unfairly compensated you or denied your claim, you may need to take legal action that will drag out the process. It may take longer than you would like to receive the just compensation you deserve in the wake of your accident. Although you can’t control how long you will wait for the funds you need to pay off your medical bills, lost wages, property damage, and other costs, you can choose to pick up the phone right now and call a determined auto accident lawyer in Rochester to help you overcome the obstacles that lie ahead. At Cellino & Barnes, we’re ready to help you at any time. What Is A Serious Injury In A New York Car Accident? NEW YORK – In no-fault auto insurance states like New York, a person hurt in a car accident must meet a threshold called the “serious injury” threshold to circumvent the limitations of his own auto insurance policy. 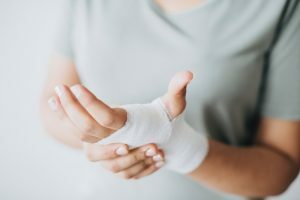 The serious injury threshold allows injured parties to file a liability claim or lawsuit against at-fault parties for damages they would otherwise be incapable of receiving through their insurance policy. If you’ve been seriously hurt in an auto accident in Queens, you might be wondering if your injuries are severe enough to meet this threshold. Let’s find out. Drivers and passengers injured in a car accident in a no-fault state must first report their injuries to their insurance companies. They must turn to their policies first to receive reimbursement for medical expenses and lost wages. In New York, the maximum compensation a person can recover in a car accident case is $50,000. If damages exceed that, drivers can step outside the no-fault system to receive additional funds. In no-fault states, it’s very difficult to seek compensation for other damages, such as property damage or pain and suffering unless the injured party is eligible to file a claim against the at-fault party or a personal injury lawsuit. This is only possible when the accident resulted in a serious injury. What does New York’s no-fault system cover? Understandably, those who suffer severe harm may not meet their needs with this coverage. Those with serious injuries may recover more losses from the at-fault party. By New York State law, a serious injury is defined as one which results in death, dismemberment, significant disfigurement, loss of a fetus, the permanent loss or use of a body organ or function or system, or a non-permanent and medically determined injury or impairment which prevents the injured party from conducting his or her daily activities for not less than 90 days during the 180 days immediately following the injury or impairment. To determine whether your injuries may qualify for additional compensation, talk to an experienced car accident lawyer in Queens about your case. It’s crucial to seek representation against the insurance company or the attorney representing the at-fault driver to argue that your injuries qualify. Should I Get A Bus Accident Lawyer? NEW YORK – Buses come in all shapes and colors, and they’re everywhere in New York City. That means there are plenty of opportunities for a bus crash in the Bronx. From school buses to Metro buses, tour buses, limousines, and party buses – when you’ve been injured in a crash you may be asking yourself, Should I Get A Bus Accident Lawyer? Bus accidents happen all the time in NYC. In fact, new investigations estimate there have been more than 20,000 bus crashes and mishaps in New York City since 2015. That’s only counting MTA buses! All of these vehicles are much larger than your standard sedan. Since they’re larger in size, they can also be more difficult to handle and control. That’s why drivers of these vehicles MUST have extensive training to operate the vehicle(s) they drive. Sadly, even good bus drivers can make mistakes – or other, less responsible drivers can slam into a bus, causing significant injuries to the bus driver and its passengers. 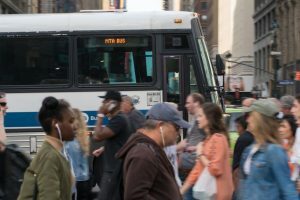 Should I Get A Bus Accident Lawyer In The Bronx? If you’ve been injured in any type of bus crash, it’s ALWAYS worth calling experienced bus accident lawyer in the Bronx. It may be a struggle to get fair compensation for your injuries on your own. There are unique deadlines and filing requirements for bus accident cases. The experienced legal team at Cellino & Barnes will not only meet those deadlines and requirements; they’ll also make sure you’re in position to recover the best result possible. Contact our bus accident lawyers in the Bronx or call us any time for a FREE consultation.